It’s 500 feet across and can carry 700 times more weight than a heavy cargo helicopter – yet it’s based on technology that was developed in the early 20th century. 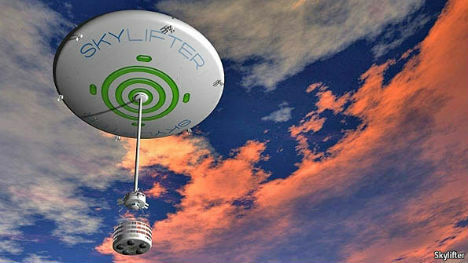 An Australian firm could make Buckminster Fuller’s 90-year-old dream come true with ‘Skylifter‘, a disc-shaped airship that could be used to deliver entire buildings to remote locations. The piloted dirigible is capable of carrying up to 150 tons as far as 1,240 miles. It doesn’t exactly do it at breakneck speed – the airship will top out at about 45 miles per hour. But speed isn’t the point. Skylifter could enable the transport and delivery of rural hospitals and disaster relief centers in one piece, eliminating the need for multiple trips and on-location assembly. 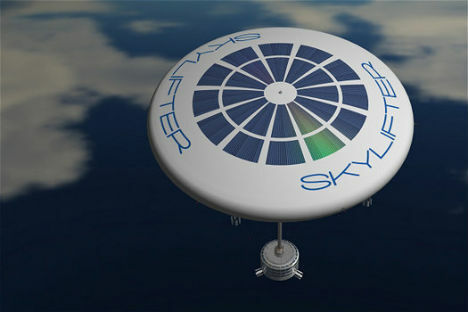 Skylifter uses a disc-shaped aerostat rather than a cigar shape or sphere so that the airship is unaffected by wind direction but also easier to steer. The design also incorporates a new type of propeller with hydrofoil-shaped blades, and places the control pod well below the aerostat for added stability. 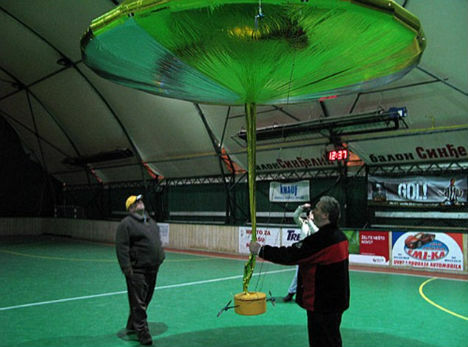 A remote-controlled 10-foot prototype nicknamed ‘Betty’ demonstrates how the full-size version will work. The company expects to complete a full-sized prototype within 3 years. It’s an interesting update on an idea that infamous inventor Buckminster Fuller had back in the 1920s that involved using zeppelins to transport prefab houses, and could even bring us back to that era’s dreams of entire communities in the sky: one imagined use for it is as airborne cruise ships.